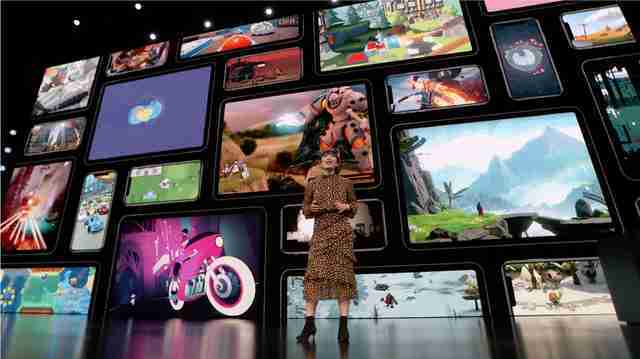 In proper Apple fashion, the company waited about an hour before they got to the announcement everyone had been waiting for during its anticipated keynote event on Monday: Its streaming service. When Tim Cook and the rotating cast of execs finally got to talking about its vision for packaging channels and original television programming, they brought the star power. Steven Spielberg. J.J. Abrams. Reese Witherspoon. Oprah, who announced she was partnering with the company to make two documentaries and a bigger, better book club. It's all part of Apple TV+, the new subscription service that's officially coming sometime in the fall. The event didn't tell us much we didn't already know about company's upcoming programming slate. It did trot out the likes of Witherspoon, Jennifer Aniston, and Steve Carell to awkwardly banter about their morning news drama The Morning Show. Aquaman himself Jason Momoa led the crowd in a sensory exercise for his new post-apocalyptic drama about blindness called See, created by Taboo's Steven Knight. Sara Bareilles sang the theme song for Little Voice, the new show based on her life as a singer-songwriter she's making with Abrams, seemingly heading back to his Felicity roots. And yet, after all of that, Apple still didn't mention how much Apple TV+ is going to cost. Here's what we do know. Where will you be able to find Apple TV+? 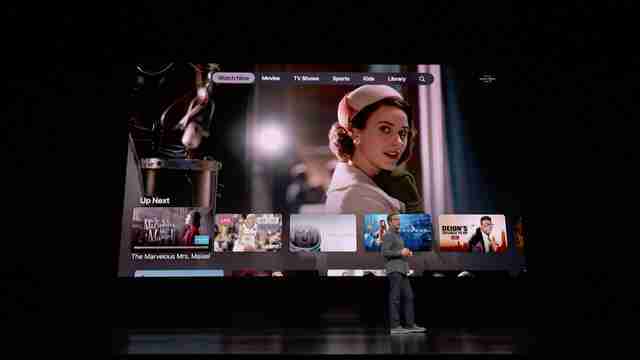 Subscription access to Apple's new package of original content will be available for purchase on the revamped Apple TV app, also unveiled Monday, and available in May. This updated version of Apple TV claims to be a one-stop shop for basically any programming you could possibly want, without ads and totally downloadable. (That is, everything you could want with one notable exception -- more on that in a second.) Unlike the old days when you needed to buy a physical Apple TV, the new app moves entirely away from the necessity of owning that hardware. 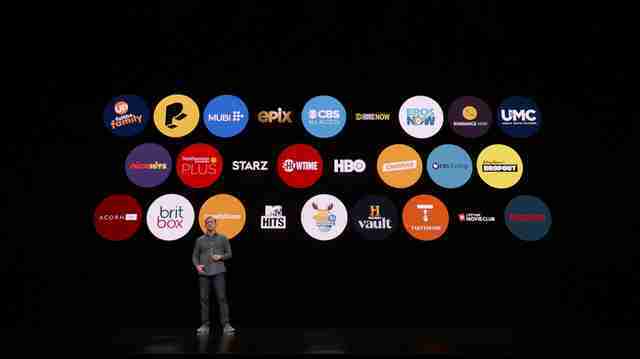 The app itself is going to be available for download on smart TVs and devices like the Roku, the Amazon Fire Stick, and Playstation Vue, in addition to Apple's suite of devices (iPhone, iPad, Mac). What is Apple TV Channels, and how is it different from TV+? OK, so: TV+ is specifically the service for Apple's original content that you can access through the revamped Apple TV app. Similarly, Channels is a host of streaming content from other subscription services like Amazon Prime and Hulu, offer a la carte access to networks like CBS All Access, HBO, and Showtime, and house movies for purchase, like the iTunes store. If you already have a cable subscription with a provider like Spectrum or Optimum, you can connect those through Channels as well. The platform is leaning on machine leaning capabilities to filter content that you, specifically, would want to watch from across all of your connected channels. The glaring omission here: Netflix, which will not be integrated with the new Apple app -- a pointed choice on the part of the reigning content behemoth, which consciously opted out of joining TV+. The shadow of Netflix loomed heavily over the presentation, given that the fresh user experience of Apple TV+, what with its autoplaying trailers and "skip intro" function, is awfully reminiscent of a very familiar platform. What else did we learn about the new TV shows? When it came time for the TV+ reveal, executives Jamie Erlicht and Zack Van Amburg boasted that they would offer the "best stories ever told," before cutting to a dramatic, black and white film in which a group of successful storytellers -- including Spielberg, Abrams, Sofia Coppola, M. Night Shyamalan, Ron Howard, and Octavia Spencer -- discuss their process. It summed up what Apple was selling here: Major Hollywood players leaving the old establishment for a new creative platform. Spielberg's inclusion once again appeared to be a rebuke to Netflix, given his contentious relationship with them. That was followed by the parade of stars, getting the crowd amped up for the aforementioned series. Other Apple shows that got presentations included Spielberg's Amazing Stories, a sci-fi anthology that's reviving his NBC series from the '80s; Kumail Nanjiani's Little America, a different anthology about the immigrant experience in America based on true stories; and a new Sesame Street program focused on teaching kids to code called Helpsters. Big Bird took the stage for that presentation, along with a Muppet named, appropriately, Cody. What the event did not offer was much in the way of actual footage, instead relegating what they had t a minute-and-a-half reel. In that it was possible to catch brief glimpses of the The Morning Show and See, along with blips of Hailee Steinfeld's spin on Emily Dickinson, the mystery starring The Florida Project's Brooklynn Prince, and Sundance acquisition Hala. Winfrey made for the grand finale. She spoke about her nonfiction projects -- Toxic Labor, about sexual assault and harassment in the workplace, and an untitled series looking at mental health -- and teased that she and Apple are working on "building the biggest, the most vibrant, the most stimulating book club on the planet." Part of that would include live streamed conversations between Winfrey and authors, but, as for the rest, it's unclear how it will manifest. Notable names were spread throughout the Steve Jobs Auditorium, even if they didn't get the mic. On the livestream, the camera caught Chris Evans, Aaron Paul, and Jada Pinkett Smith, among others. And indeed, those famous faces appear to be key to Apple's strategy: Hook customers with both brand loyalty and celebrity appeal, touting premium cable (or better) quality. But Apple still needs to actually debut something to argue the case that it's producing must-stream TV. For that, we'll still have to wait until fall, when it starts releasing its original programming. 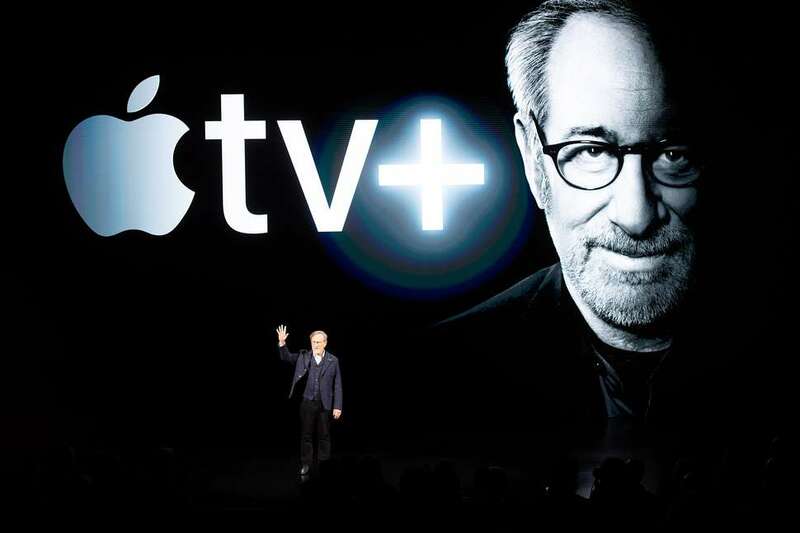 The TV section was just one of a slew of "service"-based announcements that Apple trotted out. (Seriously, Tim Cook opened with the dictionary definition of "service.") Among them, Apple News+, which is immediately available, costs $9.99 a month, and features magazines. The splashier debut was the new-and-improved Apple Pay, which includes partnerships with major cities to integrate transit expenses, and Apple's very own credit card, in partnership with Goldman Sachs (eyyy) and Mastercard. Using the Apple Card with Apple Pay gets you 2% cash back; if used to purchase Apple products, you get 3% back. There's also a sleek-looking titanium card for physical use, which offers 1% cash back. In the entertainment space, it also announced Apple Arcade, a curated subscription-based home for more than 100 iOS exclusive games that will be out in the fall with its pricing yet to be revealed. The company made it clear that this would be games of all stripes, not just shoot-em-ups tailored to mobile gaming. Offerings, which can be played across Apple devices, will include Lifelike, described as a calming game that makes use of swarm behavior, and Where Cards Fall, a puzzle game that doubles as a coming-of-age story. The timing of Arcade is interesting, given that last week, Google announced that it also was breaking into subscription-based gaming with its new platform, Stadia. (Both resemble Playstation Now and Xbox Game Pass.) Like most things Apple announced today, we'll have to wait and see if they can deliver.